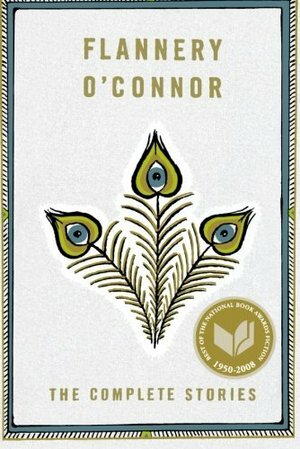 Winner of the National Book AwardThe publication of this extraordinary volume firmly established Flannery O'Connor's monumental contribution to American fiction. There are thirty-one stories here in all, including twelve that do not appear in the only two story collections O'Connor put together in her short lifetime--Everything That Rises Must Converge and A Good Man Is Hard to Find. O'Connor published her first story, "The Geranium," in 1946, while she was working on her master's degree at the University of Iowa. Arranged chronologically, this collection shows that her last story, "Judgement Day"--sent to her publisher shortly before her death—is a brilliantly rewritten and transfigured version of "The Geranium." Taken together, these stories reveal a lively, penetrating talent that has given us some of the most powerful and disturbing fiction of the twentieth century. Also included is an introduction by O'Connor's longtime editor and friend, Robert Giroux. Flannery O'Conner is one of my favorite short story authors. She paints rich portraits of her characters by showing various brush strokes of their identities rather than outlining a finished portrait. Her stories center around characters that are confronted with change or fears that challenge their life structure. The settings and circumstances are various, but common themes arise: change, fear, close-mindedness, death, religion, race, and the south - which makes sense as O'Conner grew up in the south during the early/mid 1900s and had lupus - a disease she knew would shorten her life. Her intimate storytelling method draws me in, but also sometimes leaves me dissatisfied - the reader is dropped into a character's life for only a brief moment, and is sometimes pulled out abruptly. These stories provide wonderful discussion fodder since they show snippets of interesting characters and some bizarre events. O'Connor's metaphorical writing also leaves a lot open to interpretation - some more than others.